All Vacuum Centre: Vacuums and Services for the Greater Toronto Area & Durham You Name It, We Do It. Don't get sucked into poor vacuum performance! At the All Vacuum Centre, we can provide you with the highest quality new vacuum available, or service your existing one so that it is doing the work you paid for it to do! A family owned business, we've been keeping the homes and businesses of the Greater Toronto Area clean since 1997. Visit us or give us a call to learn more about our wide range of excellent products and services. Come visit us at the North West corner of Kingston Road and Markham Road. We offer senior citizen discounts. Free estimates on central vacuum systems. Free estimates on all vacuum repairs. Our professional staff cares about you! 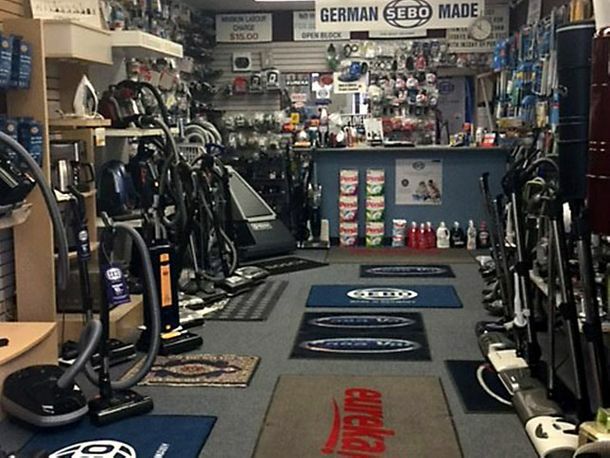 As an authorized dealer, we have a plethora of vacuums to choose from. Our cleaning supplies keep your carpet looking and smelling fresh. Free estimates on central vacuum systems and all vacuum repairs!